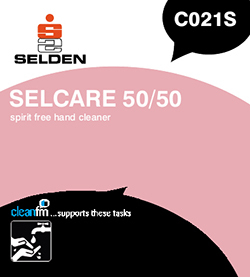 One product for all hand cleaning operations. Completely free from hydrocarbon solvents or abrasives. Mild, rich, deep cleansing lather. Bouquet perfume. Highly economical and cost effective in use. The complete hand cleaner. Used by engineers, garages, transport companies, coal miners and dockers, also in public authorities, schools, offices. Composition A blend of soaps with additional cleansing and skin protection agents completely free from petroleum spirit. Stability 30 months Shake before use.